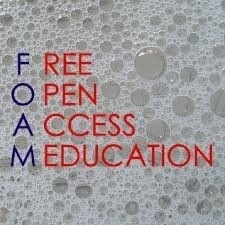 On todays episode I discuss FOAMEd and its current health. What is its relevance and value now after 6yrs? Are you already feeling sad about #FIX18 ending? What can you do to keep this momentum going? Just listened to the podcast….and lots resonated. Thanks Minh! As your words percolated through my brain over the last couple of days I felt there must be some slightly comedic line around FOAM having become FROTH, somewhat. ….now searching for what that could stand for 🙂 Free Radical Othering…..which _some_ of the ‘celebretisation’ seems to have taken on a feeling of being…..’we’ are the wise and you are the ‘others’. needing our wisdom. That probably overstates it…..but there is _some_ feeling of this, I think…..and it is the opposite of a ‘by us, for us’ feel that perhaps the FOAMed ‘brand’ promises ….and for clarity, Minh, you never come across (to me at least) as have a feeling of being part of a more exclusive ‘we’….so keep going please!